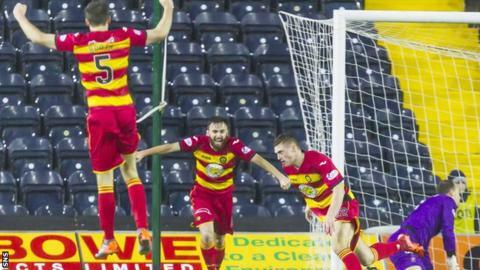 Partick Thistle manager Alan Archibald said the chance to leapfrog Kilmarnock had been a "massive incentive" for his side, as they thrashed Kilmarnock 5-2. Gary Fraser scored in between doubles from Kris Doolan and Robbie Muirhead, with Kilmarnock's goals from Josh Magennis and Mark Connolly not enough. "Today it was a chance to get above them that's all we're looking to do," Archibald told BBC Scotland. "Same as last week, the chance to get out of the bottom two and we did it." And Archibald said the victory at Rugby Park was the best performance from the Jags this season. "The second-half certainly," he said. "I think we were unplayable for a spell. "We created some great chances and scored some very, very good goals. Absolutely delighted with it. "Our ambitions today were a massive incentive for us." Partick Thistle are now looking up the table but Archibald says hopes of a top-six finish remain some way off. "Not at the moment, it's far too early for that," he explained. "Seven or eight games ago we were relegation candidates - nearly favourites probably - so, no, it's been a good turnaround but there's a lot of hard work to be done." In contrast, Kilmarnock manager Gary Locke was furious with what he called an "embarrassing" display, especially after a creditable 0-0 draw at Celtic Park last weekend. "[I am] very angry," said Locke. "They got a bit of credit last week about how they went about the game and then you've got to take that on to this week. "From minute one to minute 90 we were all over the place at times. 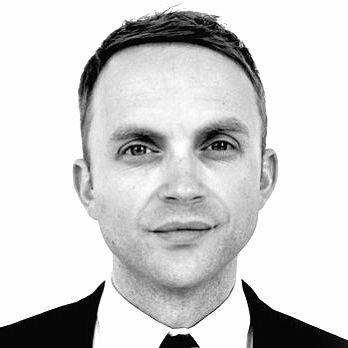 "It was virtually the same team [that played at Celtic Park], we worked on the same things. Credit to Partick, they created good opportunities but we simply never did our job. "Too many players were out there and didn't do what was required. We need to make sure we respond because that performance was embarrassing at times."